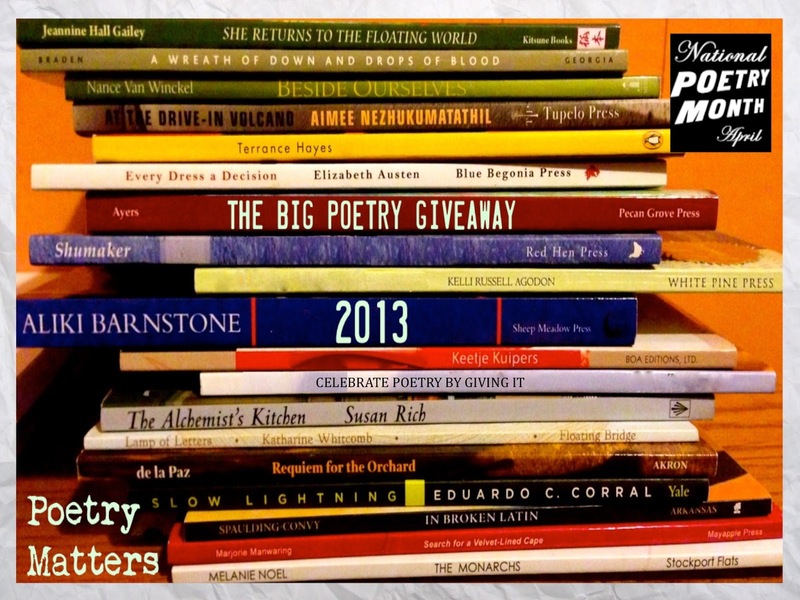 Susan Rich over at The Alchemist’s Kitchen is guest curating the fourth year of the poetry extravaganza known as The Big Poetry Giveaway. Seeing as it’s The Cruelest (aka National Poetry) Month, I thought I’d get on board, and you can, too. If you want to get with the giving, go to Susan’s place and sign yourself up–you have until April 10! This is the deal: leave a comment here with your name and at the end of the month I will draw the names of two readers (using the Random Number Generator) who will each get a free book of poetry. If you go to Susan’s blog you’ll see a long list of folks who are also doing poetry freebies—so get surfing, and get your poetry on! 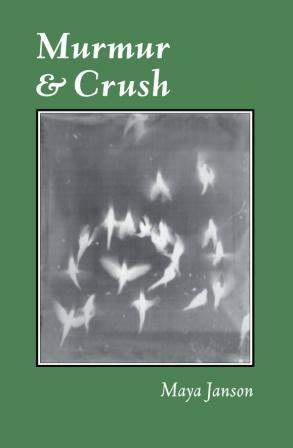 One person will get a free copy of my brand spanking new book, Grass Whistle, and I’m also giving away a copy of Maya Janson’s new book, Murmur & Crush, just out from Hedgerow Books. And maybe some more, we’ll see what happens. So, you could buy a bunch of Powerball tickets or…you can leave Pokey a comment for free and take a chance at getting one of these fabulous books. No purchase necessary. No obligation. No time-share tour. Let the words begin! Next Post April 24 Reading in Northampton! I’d love to play!! thanks! you guys got in just in time! Please do count me in and thanks for participating! Thanks, Ron. Let’s hope the random number generator smiles on you. I hope you find a way to try reading some contemporary poets–whether you win or not! Thank you! If you wouldn’t mind throwing out a few names for me – I would appreciate it! What an excellent idea! Happy Poetry Month from the North Coast of New South Wales, Australia! I have scribbled for my poetry muse for YEARS, most recently posting on facebook ‘Alexandra J Cornwell – Poet’. Last September I discovered the fun of ‘drabbles’ (100-word microfiction ‘Byron Short Fiction ‘Drabble’ Writers’), although I am finding much inspiration in the non-fiction areas. I suppose it has been my way of blogging, though am thinking now that I’ll have to get my blogsite organized and get on with getting organized to publish some of my scribbles properly. I finally got around to joining my local Bangalow Writer’s Group last week and went to my first readers & writers festival in Bellingen 2 weeks ago (seeing as it was over a 3 hour drive I also attended and entered my first Poetry Slam event while I was there). It is all about getting it out there! Best wishes with the new publication too. Thanks for introducing yourself. I’m so glad you found the BPG and yes, keep getting it out there! Flutes or murmurs– I’d love either: stick me in the generator! Yes, please. I am currently lighting a candle to the Random Number Generator gods. Please enter my name! I would love a copy of either book. And please stop by my blog. i’d love your new book Amy! My mother tried to teach me to whistle through the grass, but I never did learn. I’m in! Hoping mud season is short and spring comes quickly to conway. that feels like a little poem to me, Tara. Count me in please, Pokey! You are in the pool! Nice to meet you! I’m in for the drawing!